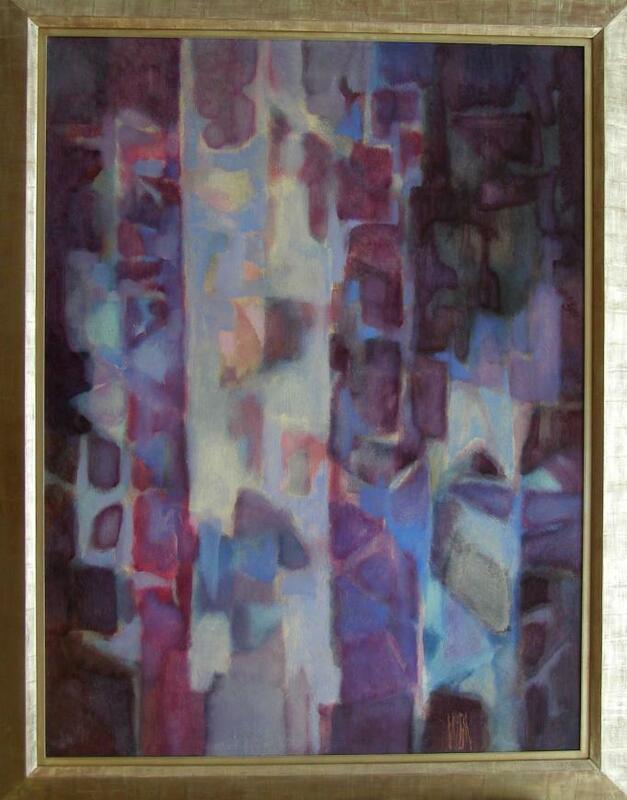 In the 1960’s many of Albert Wein’s paintings moved into pure abstraction. Never to the point that it was abstraction for abstraction sake. 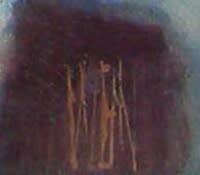 There was always imagery and subject matter that he abstracted from. Blue Counterpoint is one of his more mysterious abstractions in that it is less obvious if it is a figural, sculptural or landscape oriented composition. It does have a vertical orientation, depth, movement and mood. The blurred sort of paint application was something many abstractionists experimented with at this time. 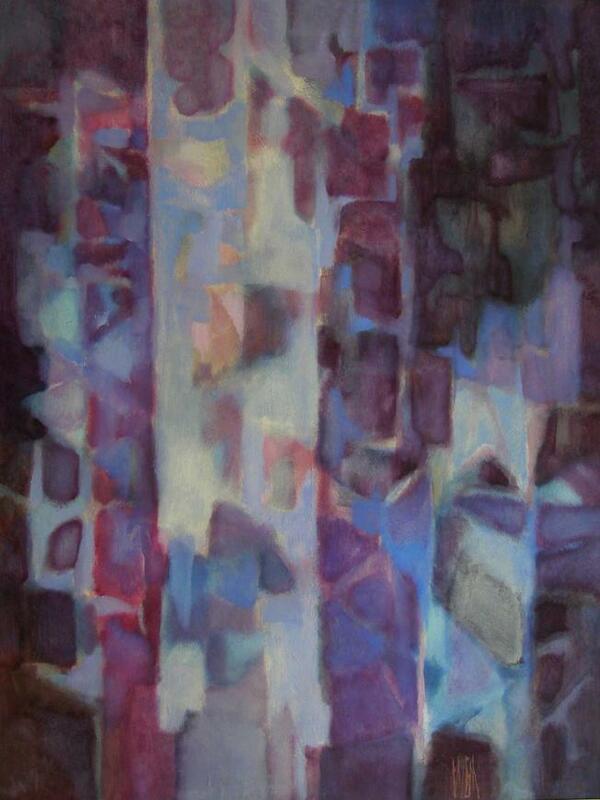 Applying paint and then removing it creates a sort of luminosity, which is the attraction of this piece.